There is no shortage of harness stars in weekend programs in the east. 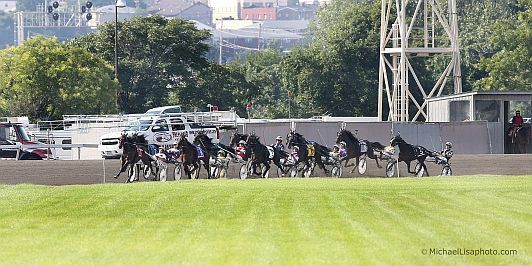 Highlighted by the return of the pacing-champ Captaintreacherous, pacers and trotters, young and old, are ready to battle for big dough on Saturday, Aug. 17. Pocono Downs’ Super Stakes Saturday tops the bill, with Saratoga featuring the six-digit final of the Joe Gerrity for open pacers and Mohawk offering Grand Circuit stakes, including the Nassagaweya for two-year-old colt pacers and the Eternal Camnation for two-year-old filly pacers. Also on the docket, the famous Gold Cup & Saucer presents its 54th edition from Charlottetown Driving Park. Check the launch of this year's Breeders Crown Countdown blog, the official bettors' reference to all races leading to and the elims and finals of the 2013 series. Saturday, Aug. 17, Pocono’s stakes group consists of the Valley Forge, Colonial Trot and Battle of the Brandywine. The sophomore filly and colt pacers, along with colt trotters, will be vying for a piece of the $2.5-million pie offered at the mountain oval. The cavalcade of stakes action kicks off with the $75,000 Valley Forge II, one of a pair of consolations, where the betting board should be buzzing. Morning-line favorite Uf Dragon’s Queen has not only been improving recently but appears to be at her peak. She races against a weak field of soph fillies, the class that best fits her chances to win. Since her victory in the Adioo Volo, Nikki Beach has become a money-burner. In her last start she went off at 9-5 and finished third to Somwherovrarainbow in a sires stake. She appears to be a one-dimensional racer, which makes most what’s bet on her equal to the money lost betting the longest shot every race. Her favoritism will prove to be beneficial for Handsoffmycupcake, likely to go off above her 7-2 morning line in the other Valley Forge consolation. 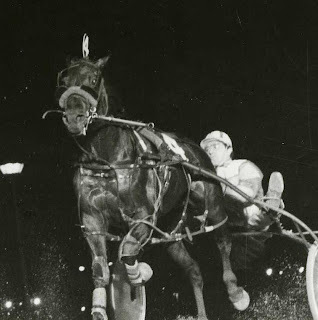 She has recently reached a height in her performance, with her last start among her most impressive; going first over through fast fractions and holding the runner-up position to final starter Novascotia Hanover. The rail is an ideal spot for Handsoffmycupcake, allowing her to get closer to the pace with ease. Chris Ryder holds the cards in the $350,000 Valley Forge final with his star filly I Luv The Nitelife heading in as headliner. Although she has been defeating this group week to week, this looks to be her toughest contest. Improving since her last meeting in the James Lynch, Somwherovrarainbow seeks redemption and victory. In a race where speed is the adjective, Somwherovrarainbow can use her gate speed to her advantage, getting a spot near the lead while the fight happens in front of her. The co-feature to the night is the trio of Colonial events for the glamour-boy trotters. Consolation two as a team of Hambletonian starters in Punxsutawney and Wheeling N Dealin competing against seven other second-string stakes horses. Among that seven is Andy and Erv Miller’s Team Six. Lacking a two-year-old season, the son of Yankee Glide is showing improvement in each appearance. His most recent effort at the Meadows can give a label to this colt, a mid-pack stalker that can chase down company with the help of cover. His draw might put him more towards a sharp-stalking spot but that should be no problem. Hambletonian elimination winner Creatine and third-place finisher in the Hambletonian Oaks, To Dream On, headline the other consolation. Now, as odd as it is to have a filly go against the boys in a race like this, To Dream On will be in contention with Creatine for favoritism. Absent from that ballot is Pine Credit but he leads the value candidates in this mile. Since his failure to make the Earl Beal Final in June, he has been on a trail of improvement, being a threat on the sires stakes circuit in the Empire State. Back at his top form, he should transfer his talent on the half-mile onto the five-eighths at Pocono. Likely to be ridiculously over bet in the Colonial Final is Hambletonian winner Royalty For Life, with that victory stamping him division leader. 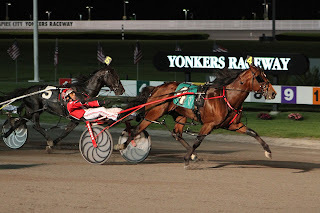 But because he won the Hambletonian and defeated this group before, it does not lessen the competition of this affair, which should prove profitable for us. In the second-tier of the betting will be Smilin Eli, Spider Blue Chip and Corky. 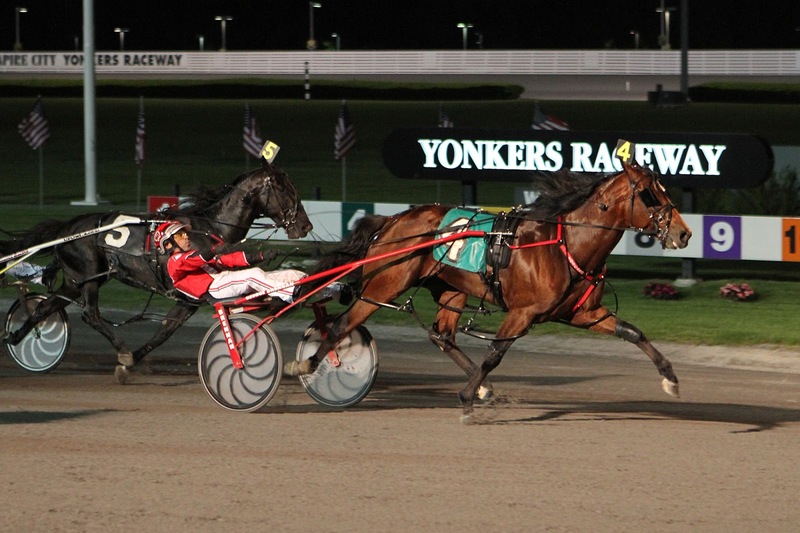 Oddly enough, the valiant effort put by Hambletonian fourth place finisher Aperfectyankee appears to be ignored. Listed at 12-1 on the morning line, he was third in his Hambletonian elimination, returning to the final by getting away far off the lead and picking off horses one by one in the stretch drive. This colt appears to be favoring the five-eighths oval, seeing as he crushed restricted class stakes horses on this track before. His post should allow him to race near the likely hot pace and pick up the remaining pieces for an upset. With division champions like A Rocknroll Dance, Roll With Joe and Rock N Roll Heaven claiming victory in the final of past editions of the Battle of the Brandywine, Captaintreacherous will attempt to join that elite group of glamour boys. Under the final of the Battle of Brandywine are its consolations, which are competitive betting events. Consolation two has several choices to take the most money, including Ultimate Beachboy and Only The Lonely. Pat Lachance enters a star colt from his barn, whose last start was a major appeal to his form. Sir Richard Z Tam has been showing rapid improvement in the past weeks. Two weeks ago at the Meadows, he was parked through a :25.3 first quarter, secluding to a pocket spot and sweeping passed horses into the stretch to finish second. He should have no trouble getting into contention from his post and poses a bigger threat to this group than so appears. The first “Battle” consolation appears to be the best betting race on the stellar card. Every horse has an opportunity to win here, as well as take favoritism. Sweet Talkin Satin will likely bring a price to us due to what he’s been against these past months. The Tom Tetrick trainee has been stationed at Hoosier Park, dominating the sires stakes bunch in Indiana. The colt’s tremendous amount of speed and control will be a perfect match for the Pocono oval, although another monster-in-the-making here is Martini Hanover. Though he looked to be a “one hit wonder” in the Adios consolation, he has proven himself to be stronger. He defeated sires stakes horses at the Meadows two weeks ago with a furious brush from the back of the pack to the lead. He should get another trip mapped out that will bring him somewhere on the board. What needs to be said in the Battle final? With Captaintreacherous making his return off a confidant qualifier, he is set to start from post 4 and trounce. His 5-2 morning line odds is a mockery of his class and strength. Nonetheless, the more people unconvinced of his greatness, the more money into our pockets. The ideal price for “The Captain” would be even-money but it seems there are still many bettors that could be hesitant of his ability after a layoff. In fact, he will only be stronger. On the under card are three Invitationals for open horses. Kicking off the trio of Invitationals is a $50,000 Mare Pace. Drop The Ball will take all the money off of her triumph in the Lady Liberty. Showing improvement is Feeling You, closing tremendously to finish fourth last out. She makes her second start off of a layoff and will be a major player with the right trip. Sevruga, off of his upset in the John Cashman Memorial, holds the sword for likely favorite. What’s weird is that division star Market Share, off of a horrible mile and a loss, will likely not get bet as hard with post 8 again. He remains the best in the division and exempting his loss two weeks ago, the layoff will be dangerous for everyone that looks to defeat him again. Completing the Invitationals is the $50,000 Pace, with Pet Rock listed as the favorite from the rail. Since his last mile was unimpressive, A Rocknroll Dance will take less money. His poor effort in the U.S. Pacing Championship is nothing to look at negatively, with a lightning fast pace and zero breathers. He should have an easier time here where a super-pace is not as likely. These two expensive miles for frosh-filly pacers, named after the beautiful Eternal Camnation, are tough-as-nails events. A look at the bloodlines may be a key to early successes. Sire Somebeachsomewhere leads all the sires of this field with frosh winners and does so by a landslide. Two of his fillies are here, both with the best inside posts. The Jamiesons’ Bahama Blue may be the best of the pair but be a judge of value, since Palm Beach Hanover, the other daughter, may offer a better deal. There are four by the top sire in the second split but you may want to take a shot with the dead-on-speed-sired Badlyinclinded. Veteran trainer John Kopas may have this daughter of Badlands Hanover primed for a huge mile and she is sitting in post 5, arguably the best starting post at Mohawk. Freshman colt pacers go in the Nassagaweya duo of miles also on Aug. 17. Another top frosh-pacing sire this season is Shadow Play and his colt, Arthur Blue Chip, attacks from the prolific Jamieson barn. He wasn’t the greatest pacer, though fast when he won, but Shadow Play may turn into one hell of a sire and his frosh crops may be where the most money could be made. In the second split, two more products of Somebeachsomewhere may rule. Idealbeach Hanover gets the rail and Somewhere In LA comes from post 7. These two may offer the best value but even if they don’t, you may have a tough time beating one or the other. The third “Nassa” hosts only one Somebeachsomewhere with the McNairs’ Canadian Edition. There is a lot of speed-breeding in this field, with a Mach Three, a Dali and two Shadow Plays, but the great thing about the “Some”-sired youngsters is they are versatile as well as fast; so green or not, Canadian Edition may get a strong career rolling quickly with this win. The 54th running of the Gold Cup & Saucer is presented this Saturday at the Charlottetown Driving Park. Some of the top older pacers that did not go to Pocono will show up for the $275,000 Joe Gerrity, Jr. Memorial Final at Saratoga on Saturday. However, seven may be struggling to defeat Foiled Again. Back on the half-mile, the biggest money-winner of all time has a ragged edge against this group and he should be ready to slice them up good, so to speak. We assume trainer Ron Burke opted for Foiled Again to meet this group for a big purse instead of a smaller one at Pocono where the horse would face stronger stock. It’s smart placement and although there might not be a lot of value in backing him, we can always hope that the crowd which usually supports Bolt The Duer far more than he deserves will show up and provide a tick or two more for Burke’s bruiser.